Your single source for store fixtures & displays. Making your store look better longer. 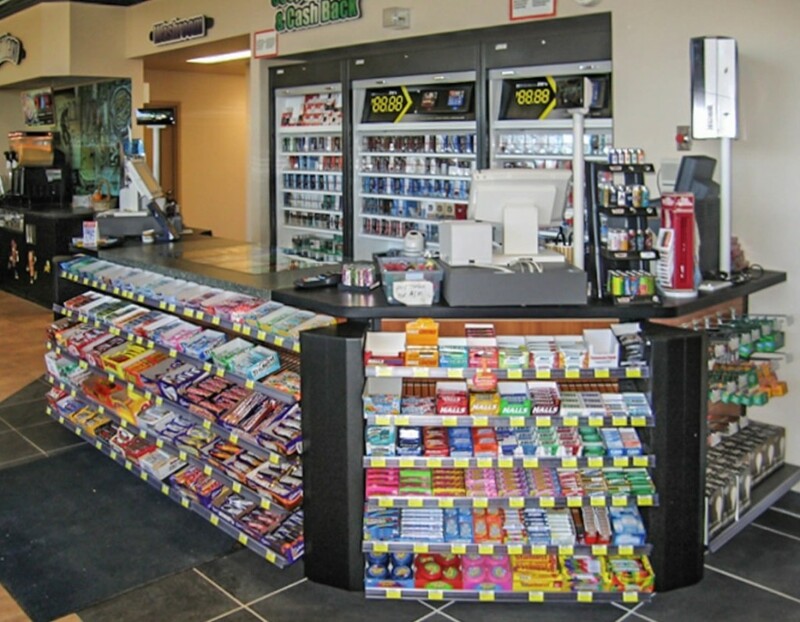 We are experts in complete modular store fixture solutions for specialty retailers including Convenience & Gas Bar, Pharmacy, Food Service & others. 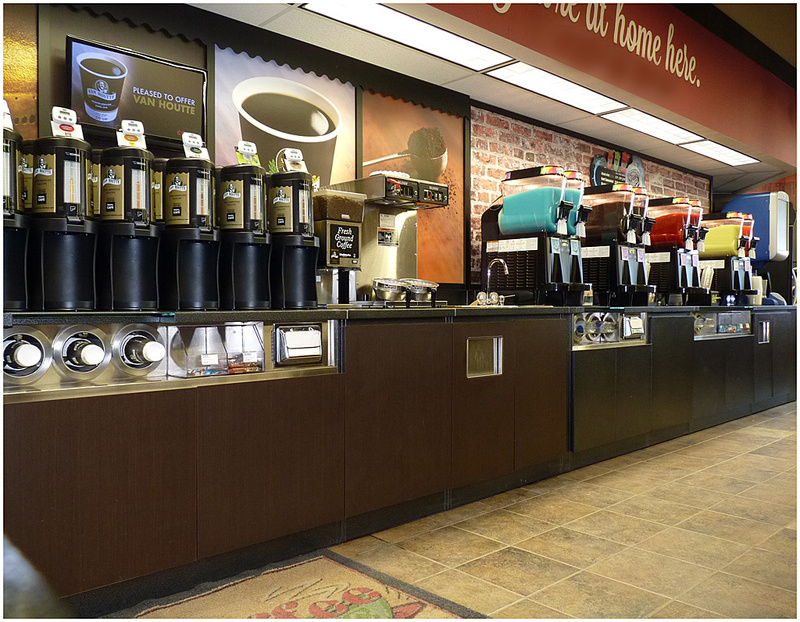 Serving independent retailers & national specialty chains, McCowan’s unique modular systems, combined with our in-house design and modern production facilities, allow us to create custom store fixture solutions with unrivaled delivery. We are fully capable of manufacturing everything we supply ensuring on-time delivery. McCowan’s modular Cash Desk & Counter System can be configured to fit into any space and can accommodate any merchandising configuration. Our cash desks hold up in extremely high use environments and withstand customer traffic to keep your store looking better longer. 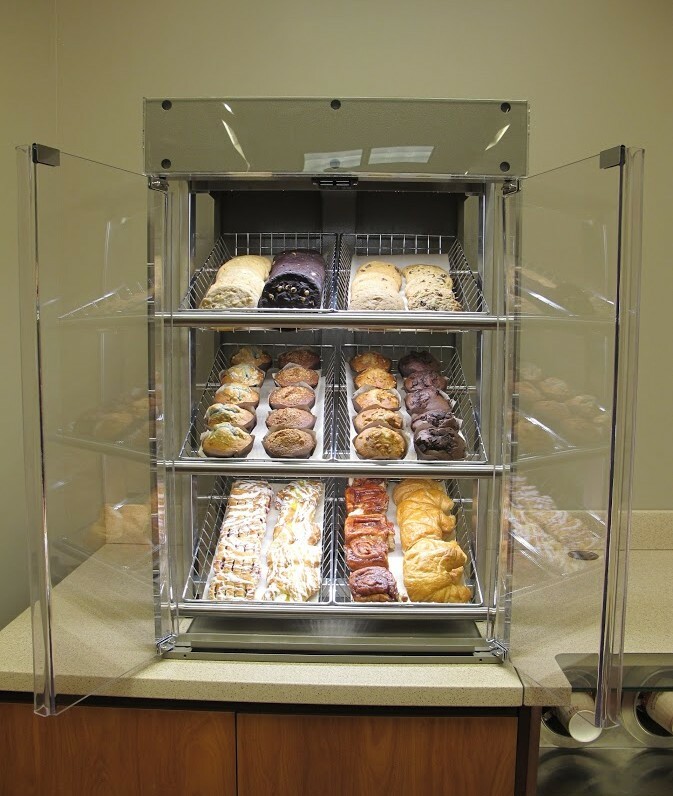 McCowan’s Service Counter Systems are a durable, high quality, and flexible system of counters designed to handle all types of locations and spaces. The long lasting structures and components allow for limitless configurations and are designed to handle the wear and tear associated with high traffic and wet environments. 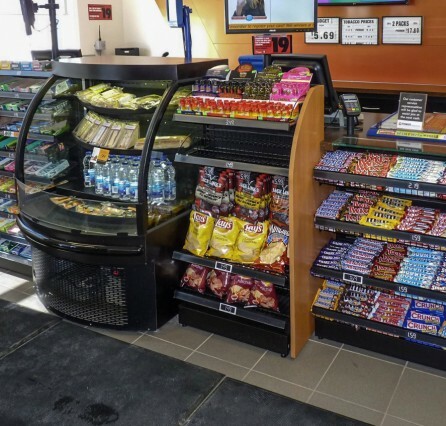 The fully modular Service Counter System includes a wide variety of cash desks/paypoint, service counters, cabinets, gondolas, shelving and display accessories. The McCowan Shelving System is designed to maximize the use of space and merchandise efficiently within smaller retail environments. 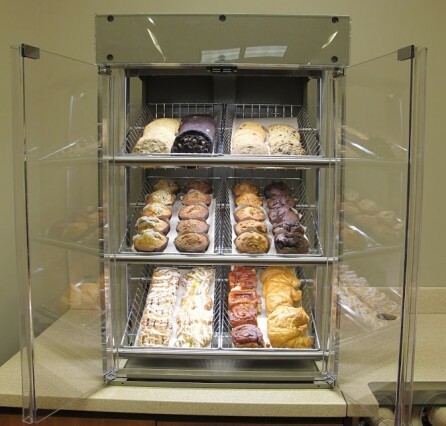 Our large selection of gondolas, shelving and merchandisers will give your store a consistent and professional look that will optimize your space. 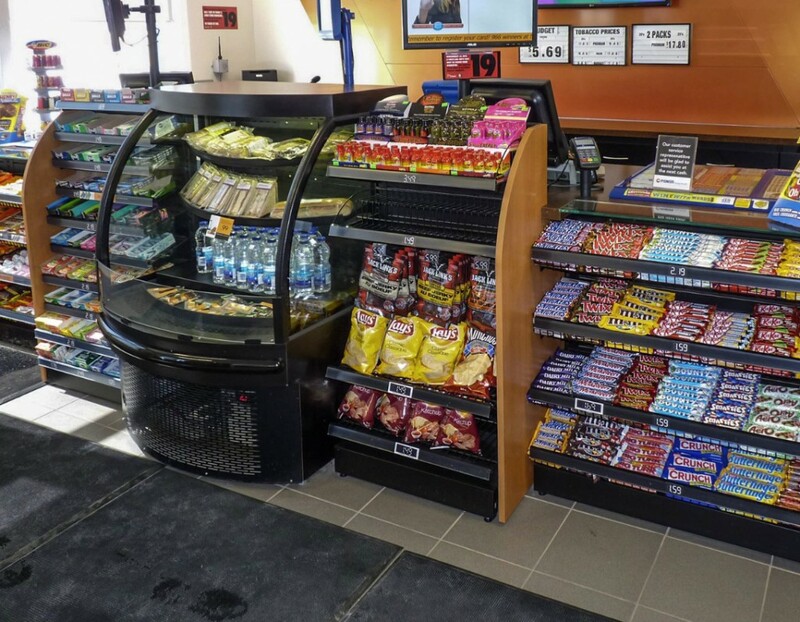 McCowan’s focus is on developing and producing high quality, heavy duty, weather resistant and practical exterior merchandising solutions that satisfy the needs of C-Store & Gas Bar retailers. 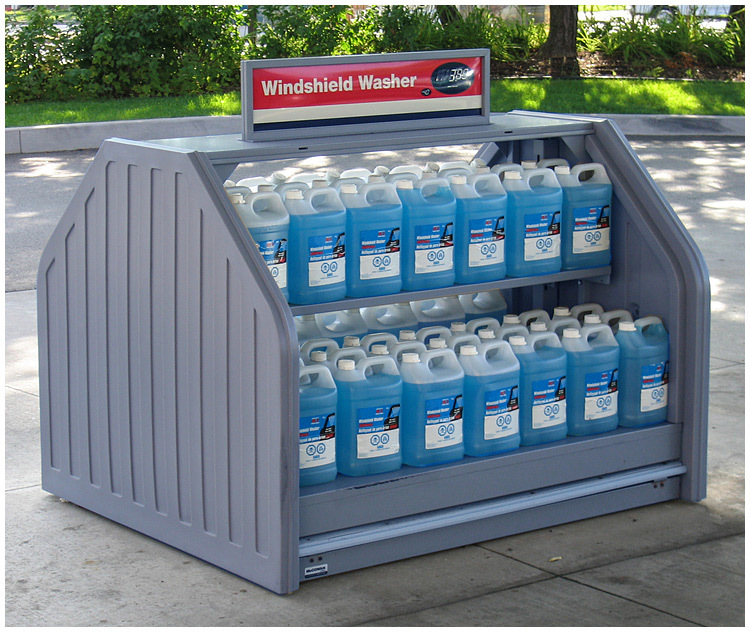 McCowan’s exterior forecourt products include Merchandisers & Utility Units and are designed to last, be adaptive, provide security and to compliment the overall brand image. 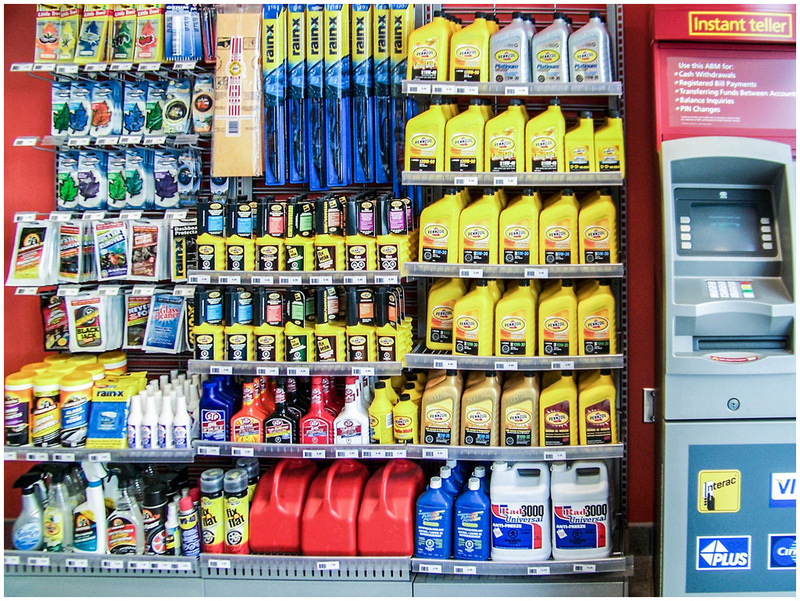 McCowan understands the importance of using the entire gas bar property in high traffic locations to communicate to passing customers and generate sales. 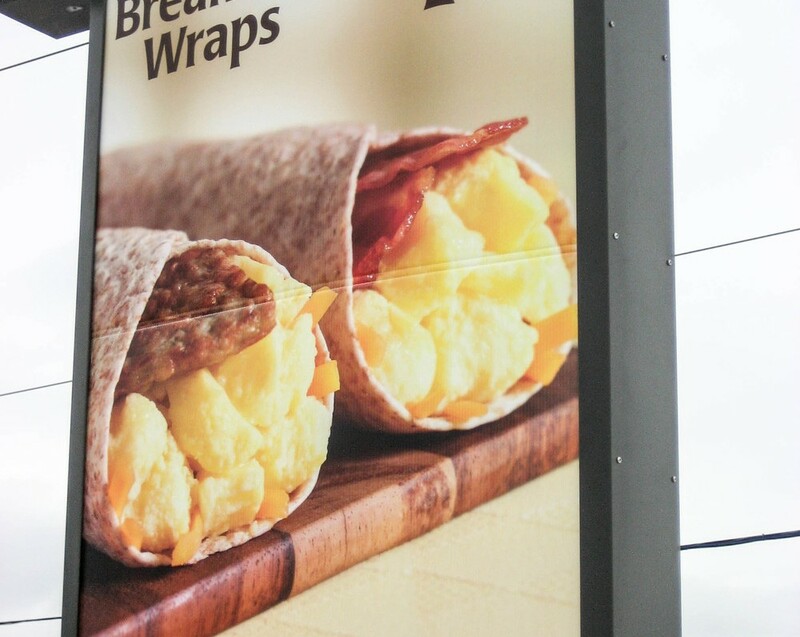 Our focus is on developing and producing high quality, heavy duty, weather resistant exterior signage that satisfies the needs of C-Store & Gas Bar retailers. 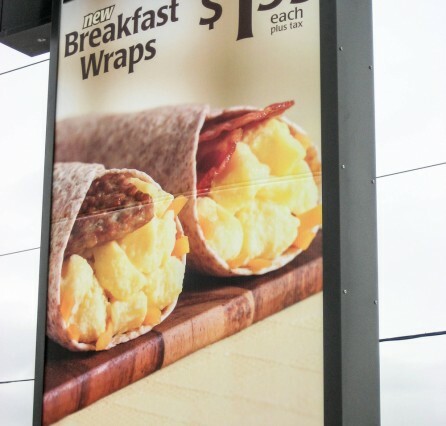 McCowan manufactures a large variety of signs to compliment the retailers’ brand image including signs for: fuel pricing, pump toppers, promotional offerings, pictographs, and other specialty signage. 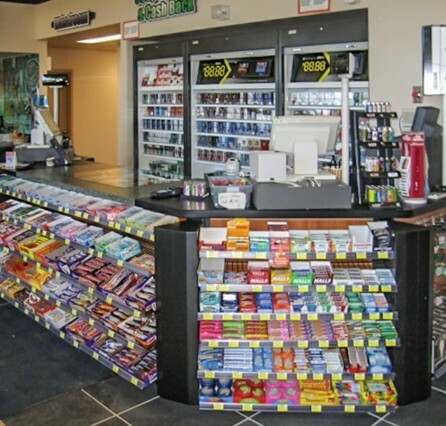 Tobacco retailing has been constantly evolving since the “Dark Market” was introduced years ago. McCowan offers the expertise and a product line to assist you in navigating government legislation while maintaining a high level of security and enhancing your store’s image. Security will always be on the minds of retailers who are concerned about the safety of their employees and merchandise. 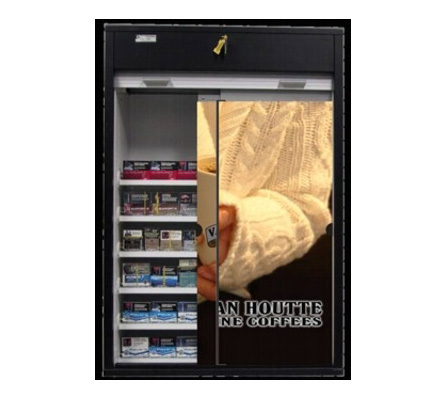 McCowan provides a wide variety of high quality, professional security products from back room lock-ups and pass-through boxes to cash desk enclosures. 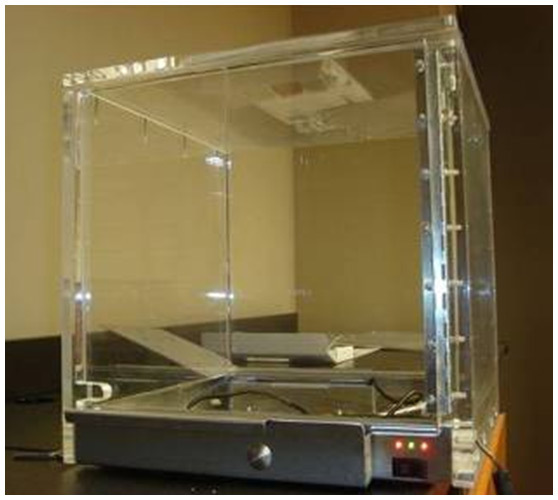 McCowan has the product to keep you, your staff and merchandise safe. Turning a great retailing concept into reality is a challenging and exciting task. McCowan is a great partner to collaborate with, having years of retailing, marketing, design and engineering experience with food service, pharmacy, hardware, sporting goods and specialty retailers. We are excited to hear about your new project! resource to gain an edge on your competition. We are continually improving our products & systems to keep you ahead of the industry. Our design, materials & production processes keep your store looking better for longer in the harshest of environments. With an almost limitless array of fixture combinations, we offer unique solutions for any size, layout & location.